Six weeks is a long time with no routine. These last few days I have been stressed (to say the least) and the boys have been bickering and fighting (with fists!) with no end in sight. Although we managed to get out quite a lot and the boys went on lots of play-dates they still weren't satisfied. The iPads were boring, it's been cold outside and they didn't want to play with their toys. I was ready for a break, a long one. At 6:45am this morning my alarm woke me up and I dragged my lazy bottom out of bed. I groaned; lots of things to do before driving the boys to school. School... *Ding! * Smile. My boys are back at school today and I couldn't be happier about it! I'm sitting in front of the iMac, gingerbread latte in hand, soft jazz playing. Peace and quiet has descended over the Prince household. It. Is. Heaven. Listening to my music without having little voices screaming over it, fingers tapping away at the keyboard with no one around to interrupt. I love my boys (so much) but how I've missed this! New routines are starting today too. I went for a walk with a friend, something I've been unable to do over the holidays. Two runs on the treadmill was all I managed (in six weeks!) and even then I was interrupted both times. More exercise - done. Healthier eating too, no more KFC or curry for dinner and definitely no late-night snacking on McCoys. The other thing I'm starting today is no alcohol. The hubby and I like to drink, a lot. In fact over the last year or so our drinking has increased to scary proportions and it's time to do something about it. From now on (at least until Christmas) there will be no alcohol consumed. Me and the hubby aren't the only ones starting new routines, as I said the boys are back at school today. That means they're both at school daily, attend after-school clubs and will be given homework. Big Prince is now in Year 6, a big year in which he'll sit his SATs and Little Prince is in Year 1, quite a change from playing all day in the Foundation unit. Today I have achieved so much compared to the last six weeks. I got the boys ready for school (lunch, uniforms etc), drove them to school and went for a walk with a friend. After my walk I got home and did the housework, including dusting (which I hate) and then sat in front of the computer. I sit here (latte now gone) knowing there are many more days of school ahead and I am smiling. I could get used to this. 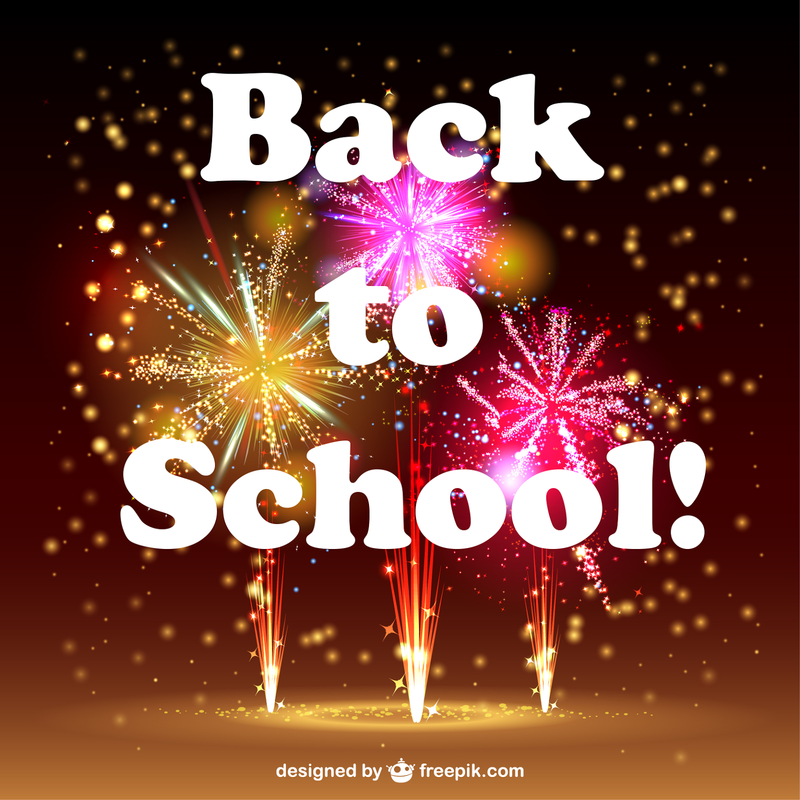 How have you coped over the holidays and are you glad the kids are back at school? Summer break is fun, but my kids and I are always excited to get back to school. I still have one at home, but with all of the others gone I have found just like you that I can get an amazing amount of work done! Hooray for a new school year! Indeed! It is amazing how much difference it makes having them at school, I feel like I've done a week's work! Hooray! I've absolutely loved the summer and in fact found it less tough than I expected... having said that, Missy G went into Year 1 yesterday, and Mini-G is back to nursery tomorrow, and properly from next week - I. Can't. Wait!!!! It will be wonderful to not have to surreptitiously write, practice yoga, or even go to the bathroom without little people neeeeeeding me at that exact moment. Love them to pieces, but oof, need some me-time - don't we all! Even they do I think. Thanks for linking to All About You lady, I love the sound of soft jazz playing as background to the computer typing!